What can history's greatest breakthroughs in science and technology teach us about the future? New Thinking: The world has never been so unstable. Now, more than ever, we need to understand our history, learn from our mistakes, and embrace science and technology as we push into the future. 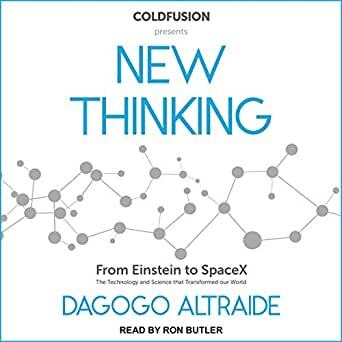 In his debut book, New Thinking: The Technology and Science That Transformed Our World, Dagogo Altraide of YouTube's ColdFusion breaks down the history of gamechanger breakthroughs in the world of science and technology that have shaped our modern world and will impact the future. Disruptive technology and innovation: The Industrial Revolution was the most significant event in human history since the domestication of animals and plants, leading to 50 years of growth and development making the western world almost unrecognizable. Today another revolution is taking place, and at its core is disruptive technology and innovation. 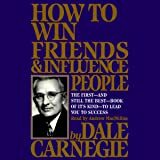 It's clear that the pace of technology is increasing rapidly, and in the past 100 years, there has been more change due to disruptive technology than we could have ever imagined. The pace of this disruptive technology revolution is swift, almost exponential, but what's the story behind it? What were those special moments in time that changed the future forever? From the steam engine revolution to the electric world of Tesla, the first photograph to the invention of the internet, this book explores the hidden secrets of science and technology to help us understand each gamechanger that has shaped the future. This book explores the history of out modern world discussing the innovations and creative thinkers who discovered and invented them. The book takes the reader from the industrial revolution through to the modern day, taking the time to touch on each milestone and the inventions that lead to it. 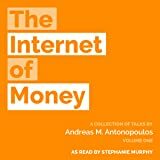 The book won't make you an expert on Quantum computers but it will help you understand why it is important.